Mystic Brewery has been rocking Boston’s gypsy soul with delicious beer for years (note: Van Morrison has nothing to do with the name), and like a band of gypsies they’re on the move — to a former bowling alley at 11 Charles Street in Malden. The move comes at a time when big things are happening at small brewing operations around the city. Boston has always been a beer town, but it’s the suburbs that seem to be the center of the action lately, with thirsty folks making the pilgrimage to Everett and Malden to taste what all the fuss is about at grass-roots taprooms like Night Shift, Idle Hands, and Down the Road. Mystic’s expansion is proof that these guys aren’t going anywhere. Mystic Brewery got its start in 2009 as the sudsy brainchild of Bryan Greenhagen. 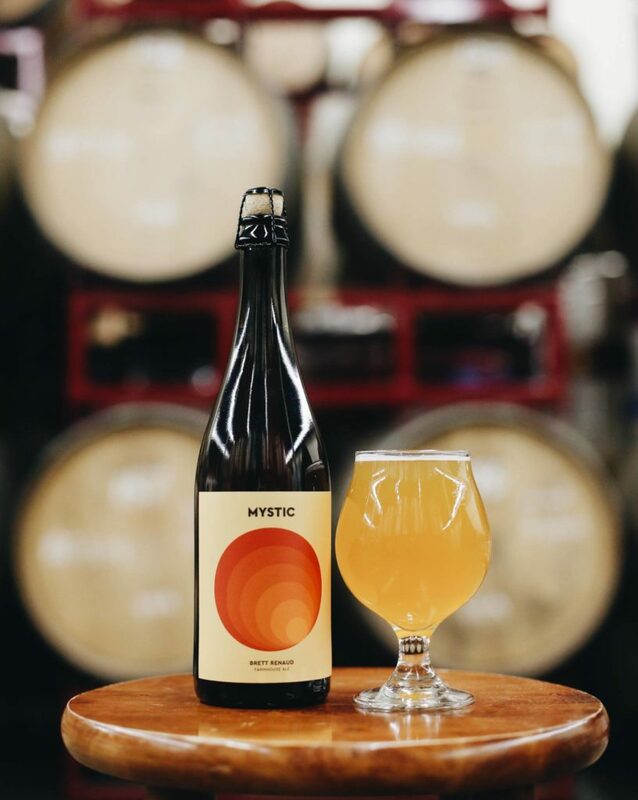 A PhD biochemist and all-around fermentation whiz, he carved Mystic’s niche with tricky, traditional styles like saisons and wild ales that are notoriously dicey to brew. They opened their current location in Chelsea in 2013 and have expanded operations steadily ever since, winning national awards with a range of new beers and redlining the facility’s 3000 barrel annual capacity in the process. Their website now features a roster of currently available beers, from white ales to IPAs, with an even longer list of what’s recently sold out (pro tip: follow their social media accounts to get the good stuff before it’s gone). Needless to say, it’s time for a bigger play-pen. The 16,500 square-foot Malden space —which once served as a showroom for Model T Fords— is just that place, which means more beer for more people. But that’s only half the fun. The new location, right down the street from the Malden Center Orange Line station, will feature a full tap room with an outdoor space, and the 40-spot parking lot might have room for some of your favorite local food trucks. Inside it’s rumored that, in addition to beer, there will be a cheese and charcuterie counter, which should soften the blow for fans of the old space who don’t like change. The team isn’t sure about the Chelsea location’s future — whether it will remain open as a taproom or be utilized as a laboratory for more of Mystic’s weird and wonderful ex-beer-iments—but they plan to keep doing their thing until the buildout is complete. There’s no official timeline for the complete overhaul of the building, but all fingers not busy brewing and bottling are crossed for late 2018 or early next year.